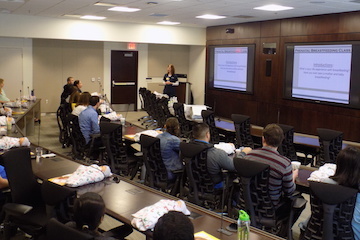 Sherrie Horstman, R.N., leads a Prenatal Breastfeeding class at William P. Clements Jr. University Hospital. Not exactly sure what to expect when labor begins? There’s a class for that. Is your partner nervous about performing everyday tasks such as putting on a diaper or bathing a newborn? There’s a class for that, too. We have long urged pregnant women and their partners to attend prenatal education classes. We know these classes can help reduce the anxiety women may feel about labor and delivery, and they also can help new parents adapt more easily to life with a newborn. 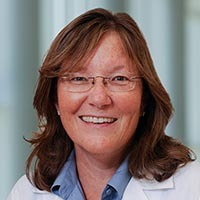 In February 2016, a study presented at the Society for Maternal-Fetal Medicine’s annual meeting showed that women who took a childbirth education class or had a birth plan were more likely to have a vaginal delivery than women who didn’t. Vaginal delivery is less invasive than a C-section, and it tends to lead to shorter hospital stays, lower infection rates, and quicker recovery. For this study, researchers at Cedars-Sinai in Los Angeles followed more than 14,000 women who gave birth over a 3-year period. Approximately 30 percent of these women attended a childbirth education class and 12 percent had a birth plan. 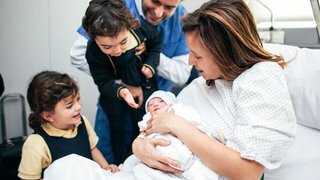 They found the women who attended a class were about 25 percent more likely to have a vaginal delivery than women who didn’t, and women who had a birth plan were almost twice as likely to avoid a C-section. And the benefit wasn’t just for first-time moms – it was present for all women. 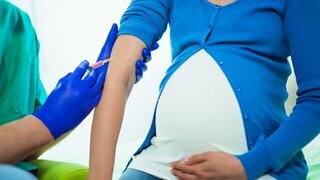 While the exact reasons for these results are unclear, they do suggest that more preparation before childbirth may increase your odds of a vaginal delivery, proving once again there is great value in prenatal education. Who should attend a prenatal education class? Prenatal education classes are not just for first-time moms. Even seasoned parents can learn something new. Childbirth classes can instill confidence and help them manage expectations. Every labor is unique, and sometimes things don’t go exactly as planned. Being prepared for any situation is important. Women who attend these classes often say they were more satisfied with their birth experience because their expectations were more in line with what could happen, rather than what they wanted to happen. Childbirth isn’t the only prenatal education topic. If you have already given birth once, you may want to focus on a specific area. Maybe you hope to be more successful with breastfeeding, or you need an infant CPR refresher. Perhaps you weren’t happy with your method of anesthesia last time or you want to explore alternative forms of pain control. There are classes designed for all of these topics. Ask your physician what’s available in your community, and don’t forget to include your family! Childbirth isn’t just nerve-wracking for you. If you or your partner hasn’t had much experience in caring for an infant, the thought of it can be scary. How do I hold a baby? What is the proper sleep position? If you’d like some expert instruction, consider a course in “Baby Basics” before your child arrives – you will learn a lot and feel more prepared when your baby arrives. If you have children who are about to become big brothers and big sisters, there may be classes offered just for them, too! By including your family in learning, they’ll also know what to expect and how they can support you. There is no roadmap for caring for a newborn, and it can seem overwhelming. But infant care classes can give you a good start on the journey. 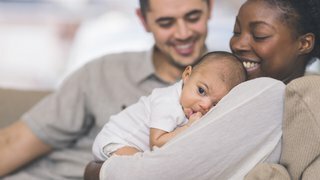 Connecting with other parents is another benefit to prenatal education classes. It can be comforting to talk to and learn from others who are going through the same thing you are. And you may find lifelong friendships forged – not just you but perhaps your children as well! When my patients ask me about birth plans, I tell them I prefer to call them “birth preferences.” A plan makes it sound like we have more control over the situation than we do. In an ideal setting, what would your delivery look like? Then think, “If that’s not possible, what other choices are available?” What is Plan B or C? For example, even if you prefer no medication for pain control, analyze your threshold for pain, and learn about your options so you don’t have to make a decision on the fly should you find you need a little help. This way you know what you prefer, but won’t be crushed if it doesn’t happen. However, all the classes and birth plans in the world can’t guarantee the delivery you may want. We can’t always perfectly assess the baby’s position, the size of the baby, or the baby’s ability to tolerate labor. If, for instance, you need a C-section, you should not see this as a personal failure. Prenatal education classes can help you understand all the possible situations you may find yourself in, and help you feel confident making choices in each situation to help ensure a healthy delivery for you and baby. 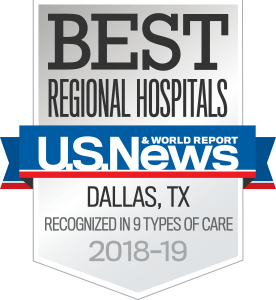 Check out an online list of Clements University Hospital prenatal classes, or register by calling 214-633-6640, or emailing the Women’s Resource Center at Email.